AIA Austin is the voice for our region's architecture community. We advocate for our members, the profession, career development, and design excellence. We influence public opinion and policies that shape our built and natural environment. 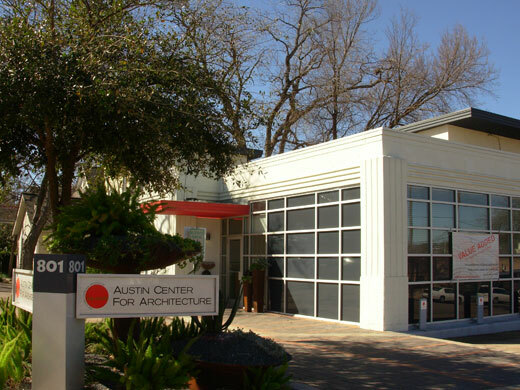 The Austin Chapter of the American Institute of Architects, AIA Austin serves the professional needs of more than 1,000 architect and associate members; and over 180 Allied companies working in fields related to architecture, design and construction in the greater Austin area—north from Copperas Cove and Salado, south to Buda and San Marcos, and west to Fredericksburg. AIA Austin is a professional association incorporated as an IRS 501(c)(6) not-for-profit corporation operating under the laws of the state of Texas in 1957. From the early 1910’s to that time it operated as the Central Texas Chapter. AIA Austin is governed by an elected board of nineteen (19) members and representatives. The board authorizes committees to identify and develop programs and services for members. Membership in committees is open to all members and to other interested individuals. We open doors, provide connections, keep our members and the public informed, and demonstrate our commitment to great design as the key ingredient for livable, sustainable places. As AIA Austin is a 501c(6) non-profit corporation, our corporate policies and our financial statements are available for review by our membership and the public. If you wish to view that material, please feel free to contact Ingrid Spencer, Executive Director (512) 452.4332. The American Institute of Architects (AIA), founded in 1857, is the professional organization for 94,000 licensed architects and associated professionals. With headquarters in Washington, D.C., and some 300 state and local chapters worldwide, the AIA helps to build public awareness of architecture and supports the practice of architecture. The Texas Society of Architects is a state component of the AIA, with 17 regional chapters and over 6,000 members.